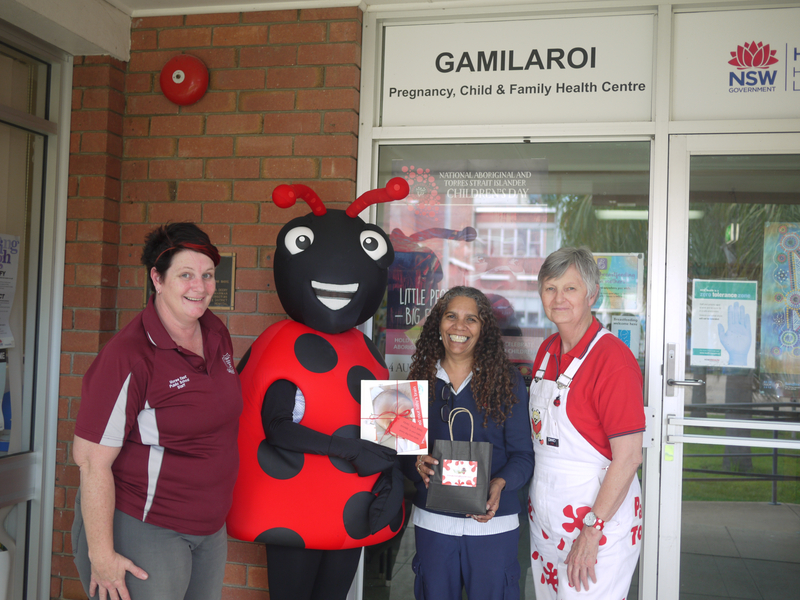 Rooby Roo in her new vest with the young Aboriginal artists from North St Marys Public School, with Auntie Maureen Silleri and Maryanne Wallace. 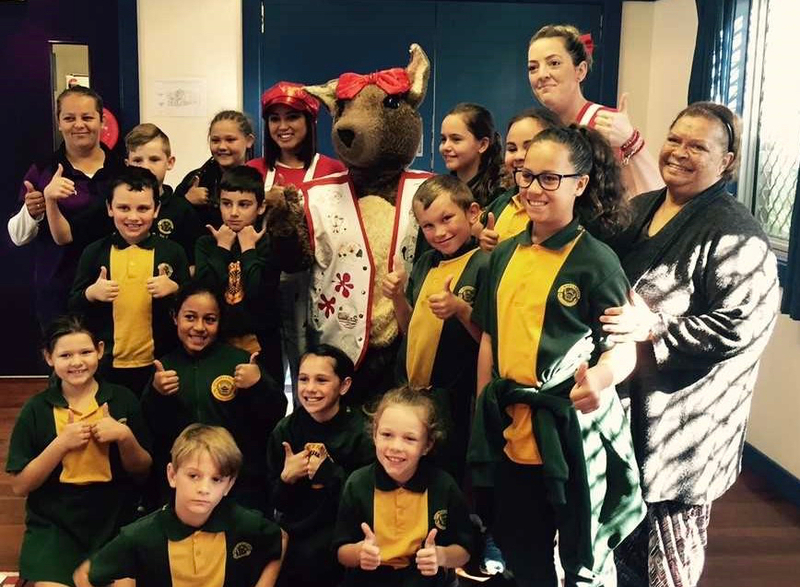 Under the support of local Elders including Auntie Maureen Silleri and their Aboriginal Support teacher, Maryanne Wallace a mob of enthusiastic Aboriginal students at North St Marys Public School NSW, drew special pictures about what reading with Rooby Roo (the Paint Penrith REaD mascot) meant to them. 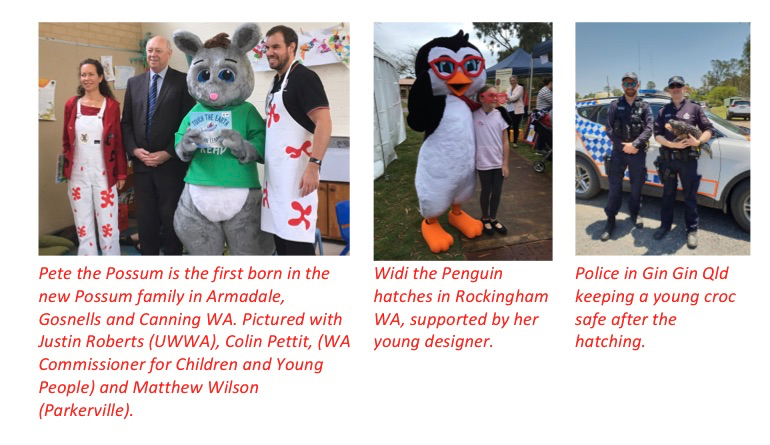 These images were then transferred onto Rooby’s vest with help of Frances Zammit from Community Junction Ins. The students gave Rooby a very big surprise last week when they presented her with the vest. 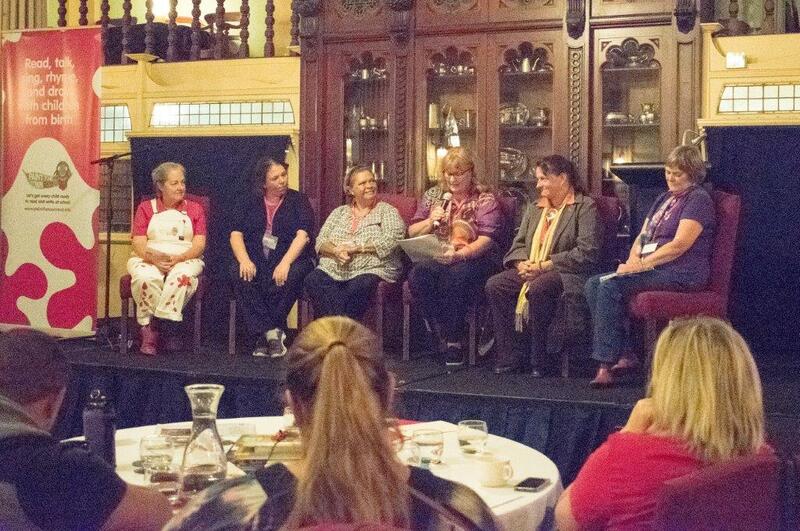 ‘We want you to wear it for NAIDOC Week this year’. 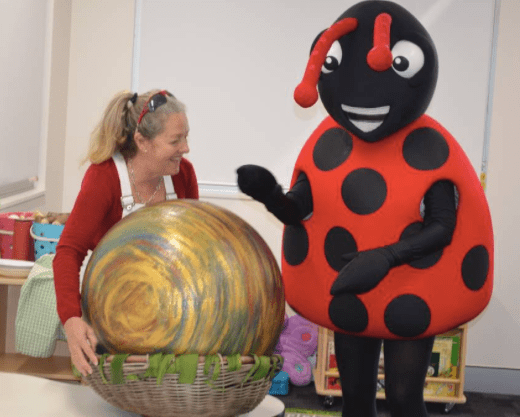 Paint D’Bay REaD launched in March with the arrival of the magical black egg. 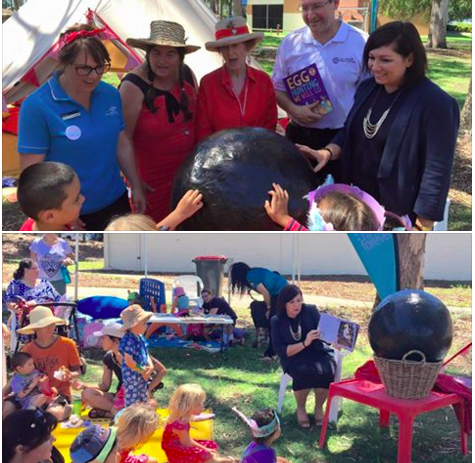 Queensland Minister for Science and Innovation, Leeanne Enoch, was the first to read to the egg, followed by the Chris Whiting, MP for Murrumba and then various other dignitaries, including the children! 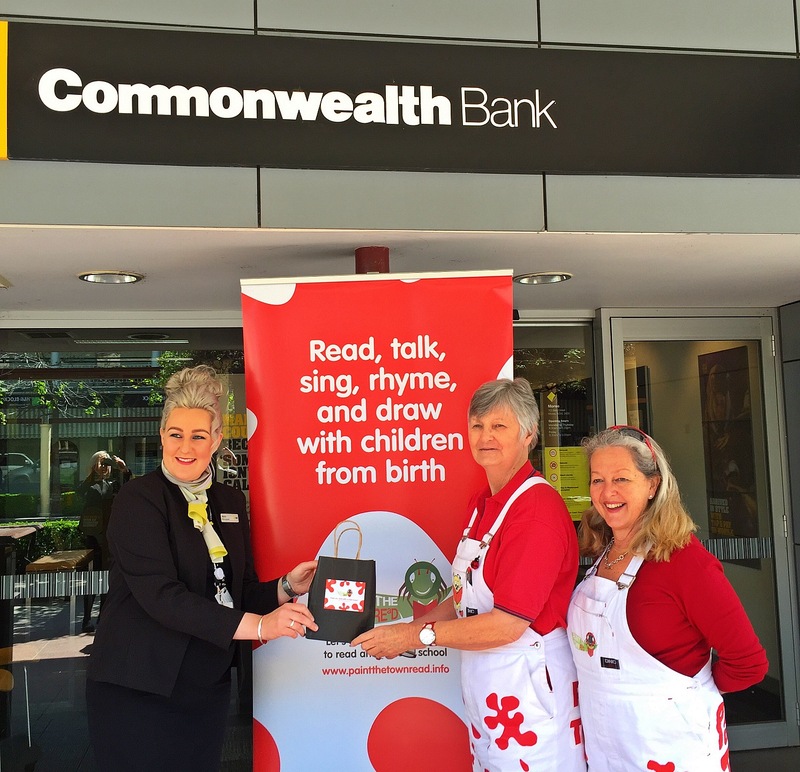 Paint D’Day REaD is a partnership led by local residents, including the Aboriginal community Elders and families and workers, Queensland’s First Five Forever and Communities for Children workers. We can’t wait to see what will hatch out of the egg! 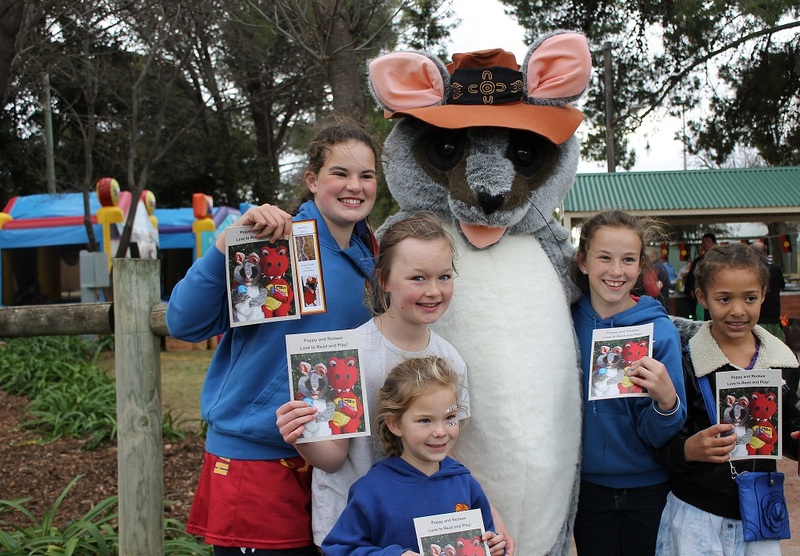 Paddy of Paint Hay REaD fame, had a great day out at Hay’s NAIDOC Day, giving out books to the children about his adventures with his best friend Poppy from Paint Holroyd REaD.